Ultra-Unit Architectural Architectural Studio is a boutique, leading edge Architectural - Design/Build firm. We focus on a small number of projects and pride ourselves on doing them very well. We develop a collaborative relationship with our clients, use advanced construction technologies, and do architecture in the manner that it was done historically - as Master-Craftsman. This makes us “ultra” qualified because we not only Design at an award winning level, but we can also accurately assess construction related costs and implications. We are a small award winning premier Architectural firm that constructs what we design because we have found its the only way to assure the quality we demand in our projects. We are hands on. We create solutions through innovative problem solving, integrated construction services, and sometimes just thumping a nail into a piece of wood. Ultra-Unit Architectural Studio is team comprised of professionals in the office and extends to the engineers, consultants, contractors and subcontractors in the field. Our team shares a vision for creating the extraordinary... efficiently. Team leader Cameron Crockett AIA, LEED is both a California licensed contractor (#959011) and licensed architect (#31503) with over 25 years experience in single family residential, multifamily residential, commercial and retail, historic rehabilitation, structural analysis and repair for both remodels and new construction. Our office is in one of the former bakery warehouse buildings at 1327 Loma Avenue - near the corner of Redondo and Anaheim. We are as “local” as it gets - both my employees and I live right here in Long Beach. Vulkan Designs, Inc. is a dynamic design and development firm with expressive vision. We are a full-service custom residential design firm providing our clients with a comprehensive solution to complete your project. At Vulkan Designs, we enjoy the design challenges of all styles of architecture including Contemporary Modern, Mid-Century Modern, Beach Cottage, Spanish, Craftsman, Victorian, Cape Cod, Mediterranean, Santa Barbara, and Tuscan. Our vast experience ranges between high end residential, destination resorts, large scale mixed-use, commercial, and restaurant design, allowing us to provide solutions beyond your model residential architect. Mark A Cuellar, Design, is an award-winning practice providing architecture, interior design, and construction management services for single-family residential and commercial interior projects. Work ranges from small, affordable bath and kitchen renovations to new construction project development. Project approach is very hands on from the beginning, starting with a careful understanding of site, client wishes, local municipality requirements; and clear communication throughout the design, bidding, and construction phases to ensure a successful outcome. Work is currently throughout Southern California, the Bay Area, Chicago, and NYC. LeMaster Architects is a full service architecture firm located in Orange County, California. We specialize in residential and commercial projects of all scales including interior remodels, additions, and new construction. While we are primarily focused on modern design, we firmly believe that successful architecture is achieved through the creation of functional space regardless of applied aesthetics. We are committed to sustainability. By taking advantage of the Southern California climate through design, the overall energy consumption of a home can be dramatically reduced. Using recycled and renewable building materials can reduce the impact of construction on the environment. Acting as Managing Principal, Erin received her Bachelor of Architecture degree from the University of Southern California in 2005. She is licensed in California (#31919) and has been LEED accredited since 2007. 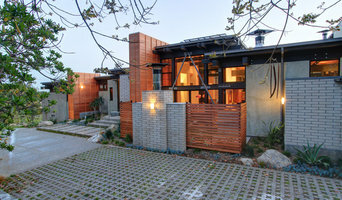 Design Principal Braden LeMaster also received his Bachelor of Architecture degree from USC in 2005. He is licensed in California (#35089). Together, Erin and Braden have over 20 years of experience in architectural design and construction. Laidlaw Schultz architects creates engaging and realizable design solutions that mutually support each client’s ideals while contributing to their surroundings. With an emphasis on integrated design, Laidlaw Schultz architects never draws a line between indoors and out. The work is always concerned with creating a cohesive whole, a project that is fully realized. Whether small or large, the solutions are always unique yet timeless, resulting in an architecture that is rich in meaning, thoughtful in approach, and poetic in its final rendering. Since LSa’s founding in 1992, partners Scott Laidlaw and Craig Schultz have completed successful projects of considerable size and complexity. A multi-disciplinary firm encompassing both architecture and interior design, Laidlaw Schultz’s approach is not bound by scale and has lead to equally successful projects ranging in size from rugs to ranches, powder rooms to power plants. Never dogmatic in their approach, Laidlaw Schultz Architects is devoted to understanding a client’s wishes — while at the same time being cognizant of budgets, schedules and environmental issues — and finding a solution that addresses those needs as well as transforms them. Laidlaw Schultz Architects was selected by the University of California, San Diego as one of the top young emerging architecture firms in 2007, and was included in California Home + Design magazine’s annual visionary architects’ issue, also in 2007. Additionally, the firm has been recognized in such publications as the Los Angeles Times Magazine, Orange County Home, Atomic Ranch, Coastal Living, The Robb Report Collection, Angeleno, Riviera, Cottage Style, Sunset Book of Landscape, Newport Beach Magazine, Interiors Magazine, Orange Coast Magazine, Coastal Living, Architectura Y Diseno, and recognized in Interior Design's 100 big ideas issue. How do I find the best Long Beach, CA architect for my home design or renovation project? When building or renovating your home, you don't simply hire an architect or building designer — you build a relationship with them. Be sure you chose a home architect who will be involved in all phases of the design process, from the initial concept to the completed construction. Architecture is an incredibly technical profession and one where getting things wrong can literally put lives at risk, so ensure you hire a professional with a valid license or an architectural firm to maintain high quality and standards. Your next consideration will be architectural style. Some residential architects specialise in designing traditional homes or farmhouses, others in designing modern replicas of traditional homes. While a few have a knack for imagining bolder, more futuristic architectural design in Long Beach, CA that incorporates the latest technology. How much does hiring an architect in Long Beach, CA cost? Home construction and renovation often have a preset budget and hence it is important to understand how much architects charge. While there is no set payment structure, independent architects may charge differently from architectural firms. Architects sometimes choose to calculate their fees on the basis of a per square foot rate. In rare cases, especially with smaller projects, Long Beach, CA architects may choose to ask their clients for a fixed fee. Make sure the total figure and payment schedule is agreed as part of your contract, particularly if you are trying to accurately estimate the cost of building a house. 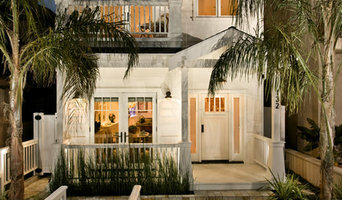 Find a home architect in Long Beach, CA on Houzz. 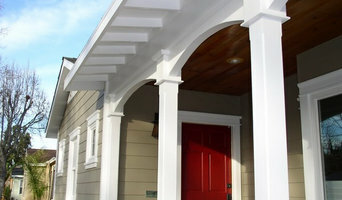 Narrow your search in the Find Pros section of the website to Long Beach, CA architects. You may also look through photos projects to find building designers in Long Beach, CA who have worked on a project similar to yours.